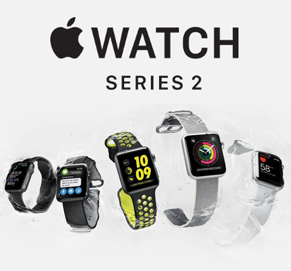 Thanks to the Apple Watch Series 2 model's built-in GPS functionality it is now possible to track your DISTANCE, PACE and ROUTE with MotiFIT Run and MotiFIT Ride without having to bring your iPhone! This exciting feature makes tracking your workouts more streamlined and effortless by reducing the amount of gear you have to bring along for the ride. You will still be able to track your workout using MotiFIT Run or MotiFIT Ride with an Apple Watch Series 1 or a standalone heart rate monitor, but you will have to use your iPhone's GPS during your workout.